Biblical hope does not disappoint. Did you catch that? Biblical hope does not disappoint. Let that Truth soak in for a moment. The hope we have in Christ continues rising no matter the circumstances we’re walking through. That should overwhelm us with peace. Valleys lead to mountaintops. Tears are wiped away. Joy is eternal. 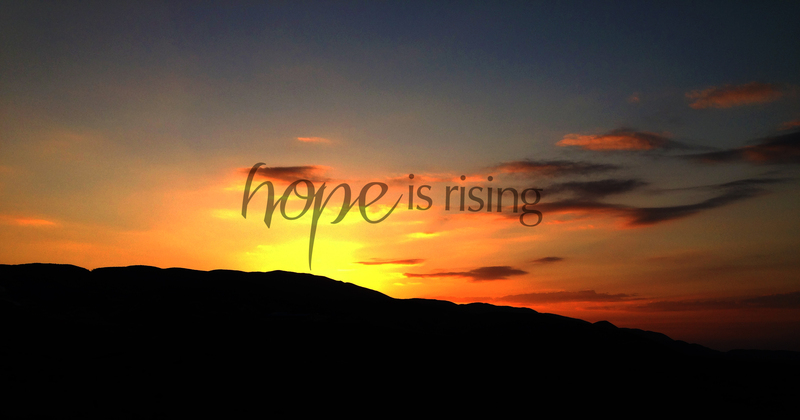 Hope is rising.